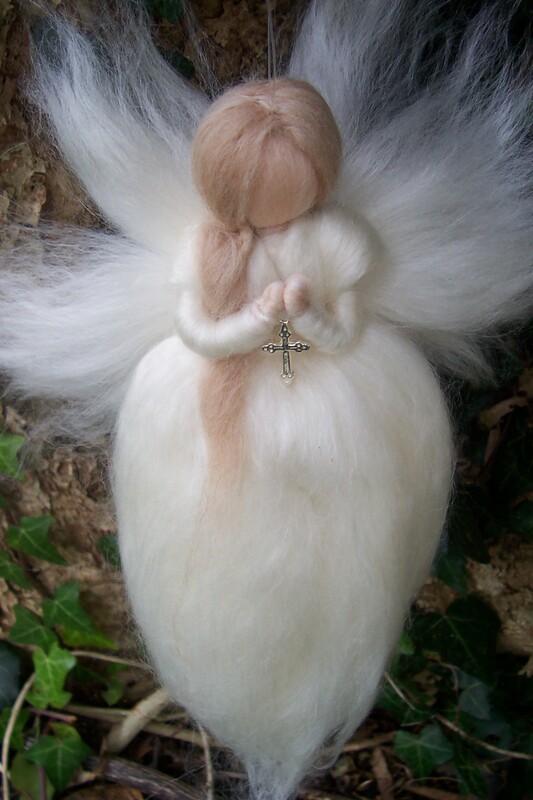 A pure white Guardian Angel, made with soft white wools and blended white fibres to add beauty and purity. Her gentle hair is camel in colour and her hands are in prayer position holding a silver coloured cross. A beautiful and thoughtful gift for anyone who wants to add some love to their own or someone else’s home and life. 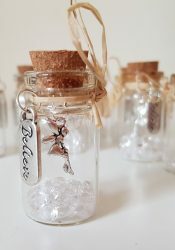 Particularly lovely as a gift to someone who is special in your life; someone whom is in your thoughts. 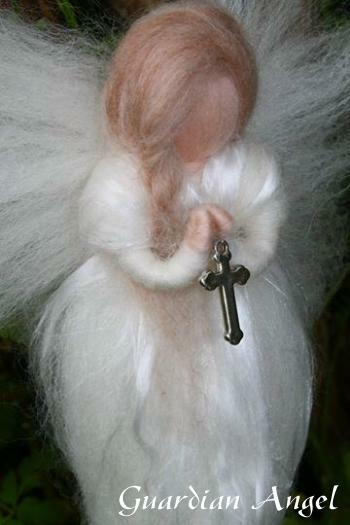 These Angels are made to order and therefore please allow one week for her to be made especially for you. 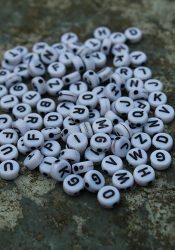 The thread can be made longer or shorter if required. Please let me know when you order. 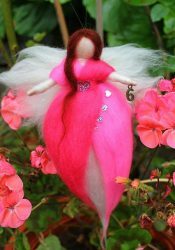 Please note: This fairy is intended for use as a decoration, not as a toy. Loose fibres may pose a choking hazard to young children still nibbling their toys. Keep away from pets as she may never fly again!